警告: If your hair is very porous, dry, damaged or overly permed, the only recommended shade for you to use is Neutral from our original Light Mountain Natural Hair Color & Conditioner line. Do not use this product in the area of the eyes. If this product accidentally comes in contact with your eyes, rinse promptly with cool water. If eye irritation persists, seek medical attention. Do not use on cut or abraded scalp or skin. Never use on eyelashes, eyebrows, beards, or mustaches. Keep away from children. For external use only. 注意事项: 100% natural. Fully illustrated instructions. Includes henna cap & gloves. 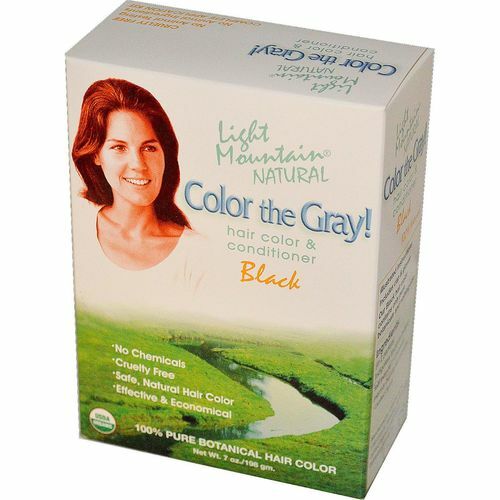 Free of chemicals, ammonia, peroxide, animal ingredients and testing. Ingredients: Indigoferae tinctoria (Indigo) Leaf Powder* and Lawsonia inermis (Henna) Leaf Powder*. *Certified Organic.